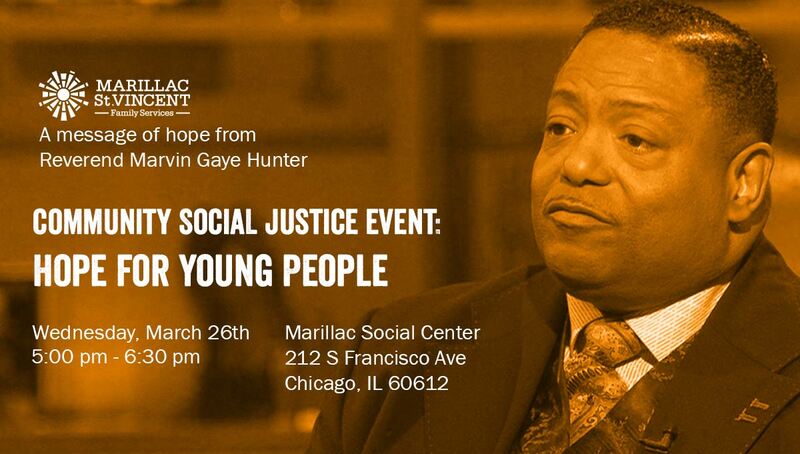 Join us for an inspirational presentation of hope from Reverend Marvin Gaye Hunter, pastor of the Grace Memorial Baptist Church and the great uncle of Laquan McDonald. We welcome Reverend Hunter as he speaks to a community that has been hit hard by violence. We invite community members to this special event, where Reverend Hunter will give a talk about the ongoing violence in Chicago and reasons to be hopeful about our city's future. This is a free event. Light refreshments will be provided. All are welcome.